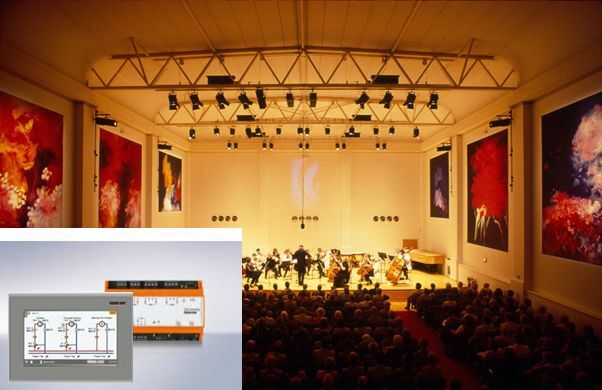 The Nimbus Foundation Concert hall near Monmouth was one of the first UK Users of Kieback & Peter controls. 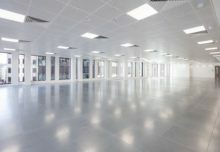 Supplied by UK based SyxthSense Ltd, founded in 2003. The now obsolete LRP controls were still operational and working as expected when the local maintenance engineer retired. Wyastone requested an update to more modern Web Enabled solution thus facilitating a revised support solution. Working with the Cardiff branch of BCMS, a demonstration of the new DDC4020e controller was made and was accepted by the foundation. With planned gaps in concert hall bookings the exchange with some feature upgrades was made within 16 hours, the system was online and monitoring the plant as expected. The environment controlling within tolerances with some simple user interface tuning was verified a week later with remote access with the client watching and asking questions as needed. 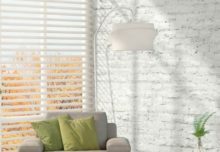 The controls are very easy to use and have tremendous flexibility for tailoring to the customer needs. 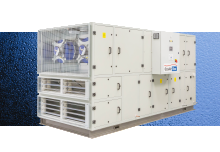 They are secure, small and compact making them ideal for upgrades of older BMS systems. 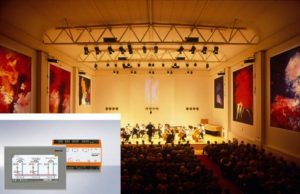 “A Concert Hall needs close temperature control to protect valuable musical instruments and to cope with a full house and orchestra ~ 650 people and full stage lighting of about 50kW. The Kieback & Peter controls did this to perfection. 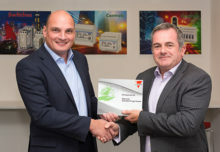 When we came to upgrade them to the current generation of remotely accessible controls we had no hesitation in choosing Kieback & Peter from SyxthSense, whose excellent Dene Matthews, who always gave us great support, recommended BCM. They did the upgrade with no disruption to the smooth running of the Hall which is in almost continuous use for recording – very impressive.